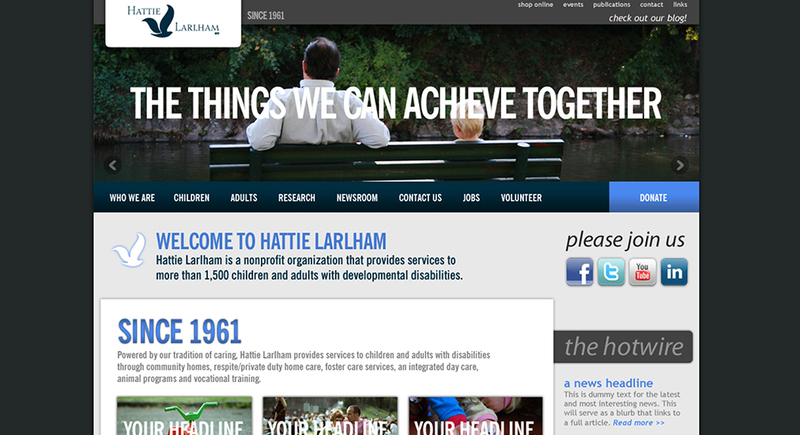 Hattie Larlham does truly incredible work helping people who otherwise would not have the opportunity to thrive as they do, so they certainly didn't need to use their valuable time worrying about a website. That is why they relied on Quez to put an all-new wrapper around their old site. 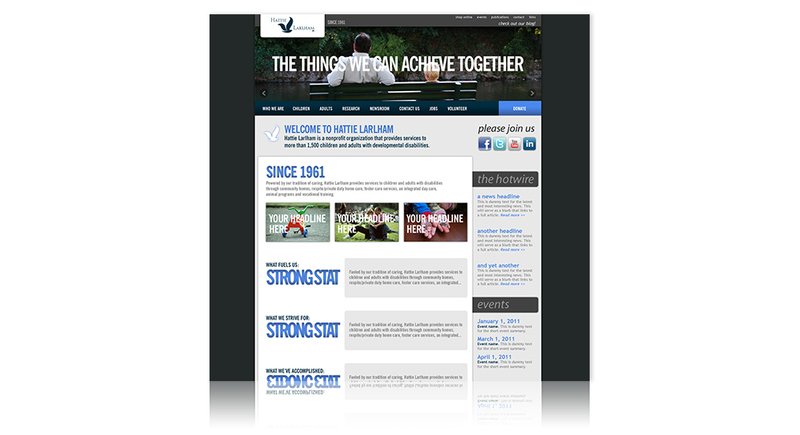 We replaced the small, stale images and heavy text on white with color, large photography, rotating banners, and embedded video, adding a sense of interactivity to the formerly static pages. For the donor piece, elegance was the key. Themed of the silver-inked book was growth, featuring a hand-drawn tree in which the roots represent the donors, the trunk representing Hattie Larlham, the branches of the tree- the brands, and finally blooming into the beautiful, green leaves that reach toward the sky. Each leaf named for an individual success story in the Hattie Larlham program.